Lots of things come to mind when the word "green" is said. Green signifies life (remember biology class?) 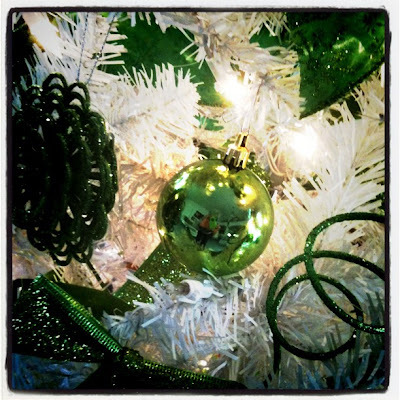 ... and when it comes to Christmas, green symbolizes eternal life. PLUS - it's a really pretty color, right? What beautiful symbolism! Now, when I 'see green' I will try to remember, and focus on eternal life. Christmas is fast approaching and with the green Christmas trees and the white lights how can one not think of the Savior, Jesus Christ and remember that He is the Light and Life of the world. Thanks for the beautiful pictures and thoughts! And my favorite color, too. Yay! I can't wait to share my Thanksgiving table: mustard gold, pumpkin, fall leaves and AVOCADO green! For me it means fresh! Yesterday I wore apple green and white - in my top, my shoes, a big ring on my finger and necklace. The little kids I was teaching asked "What is your favourite colour?". That threw them, but then they are a little green. I associate the color green with cars. When our kids were young we always bought old, used cars. They always seemed to be green and the kids would complain mightily about it! I do like Christmas green though! Pretty picture. Unless it's the green eyed monster or a booger. Then maybe, not so good.